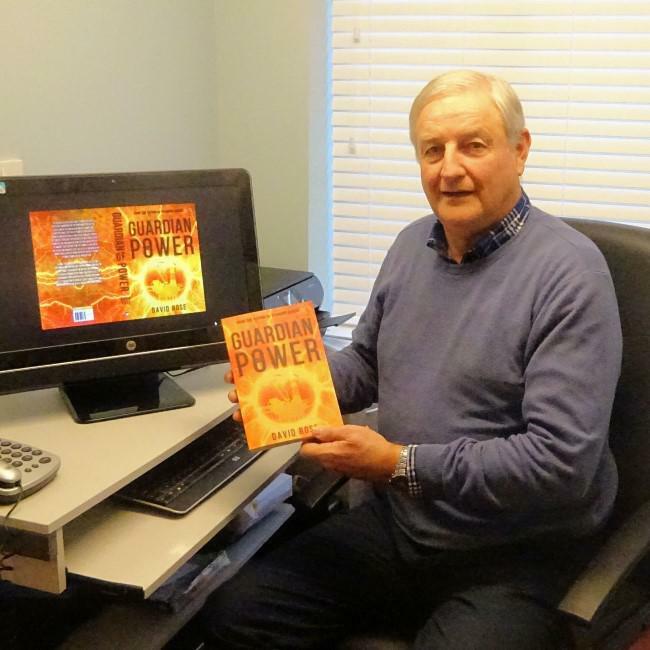 David Rose, formerly from Trimdon Village has just published his second novel called Guardian of Power. David’s debut novel, Standing Orders was published in 2017 when it was commended in the Independent Author Awards. His latest work is an adult thriller about an international conspiracy arising from the discovery of a new, sustainable source of energy. The story centres around a physicist who finds himself in grave danger while working on a major research project near the border between Switzerland and France. David’s first novel contained some elements of his own life story but this time he wanted to write a novel that was completely outside his own personal experience. However Guardian of Power does contain one affectionate nod to his Trimdon background: two pubs in the novel are called the Black Bull and the Red Lion. Although they bear no relationship to the actual Trimdon pubs the names are included in homage to David’s home village. ‘My Dad used to drink in the Black Bull which was also the venue for his funeral reception in 1993 and as an eighteen-year-old I used to go to the Folk Club in the Red Lion. Naming the pubs as I did was a gesture of deference to my childhood home,’ he said.